The Cat Empire brings their lively ska-infused party stateside next year as the Australian band recently announced a large batch of North American tour dates for 2019. They’ll kick off the tour with their New York City show on February 28 at Brooklyn Steel before embarking on a month-long string of dates throughout the US and Canada. With their seventh studio album underway, the band has much to celebrate on the road with fans across the world. Before kicking off their North American dates, the band will tour across their native Australia before heading to Europe for a lengthy tour. To finish out 2018, the band is hosting their own festival, The Cat Empire Carnivale, in Fremantle, Australia. The carnivale lasts two nights and will include food, markets, bars, and a silent disco in addition to live music performances. The jazz and ska collective formed in 1999 and currently has six key members, although they are usually flanked by The Empire Horns, a brass duo. The Cat Empire’s roots trace back to Jazz Cat, a Melbourne-based jazz band until it turned into a three-piece jazz set after a few years of playing shows in the Melbourne area. The band dropped their eponymous debut album in 2003, their lead single “Hello” taking off and playing regularly on BBC Radio 1, and the album going triple platinum in Australia. As they put out more albums, The Cat Empire started to become a festival mainstay due to their lively concerts and infectious energy as they weave a compelling blend of ska, jazz, and funk. 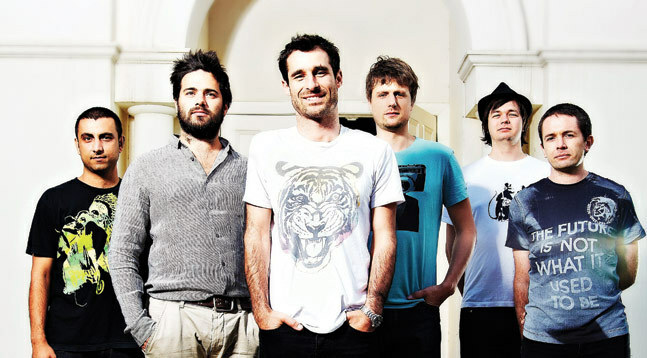 Now onto their seventh album, The Cat Empire have seen their records place in the top five in Australia five times, with two of their albums hitting number one. You’re getting much more than just a concert when you see The Cat Empire live, their energy and eclectic sound nearly palpable in the crowd, creating nothing short of a party for concert goers. Don’t miss The Cat Empire as they hit New York City this coming February, with tickets on sale now.